For additional options click Details and see "You might also like" at bottom of page. 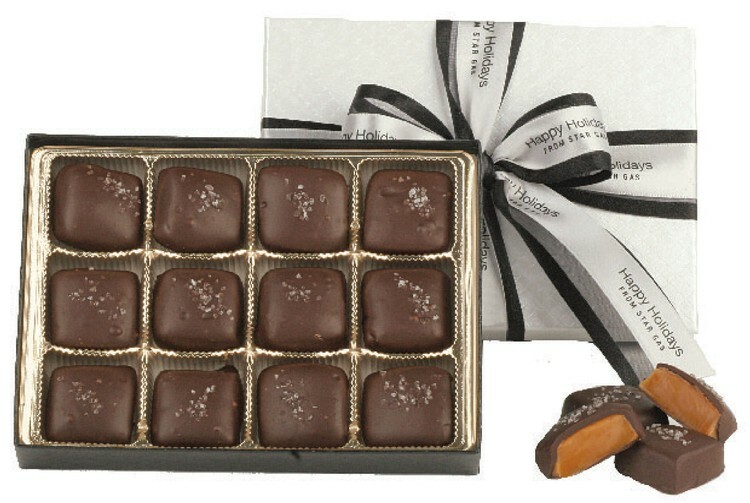 These boxes of Dark Chocolate Sea Salt Caramels hold 12 delectable pieces. The tantalizing combination of smooth caramel, dark chocolate, and sea salt is utterly unforgettable. Imprint Size: 3 x 1/2"